A perfect two ingredient smoothie that is filled with nutrients. 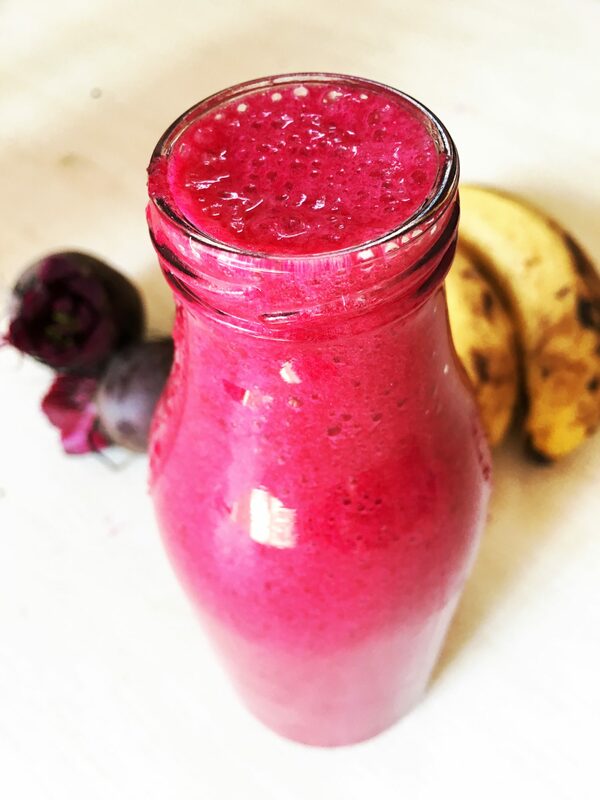 Banana for energy and beautiful red beetroot to help your blood and liver. Iron rich smoothie for acne free skin. Add the banana (frozen banana is even better) and beetroot to your blender.